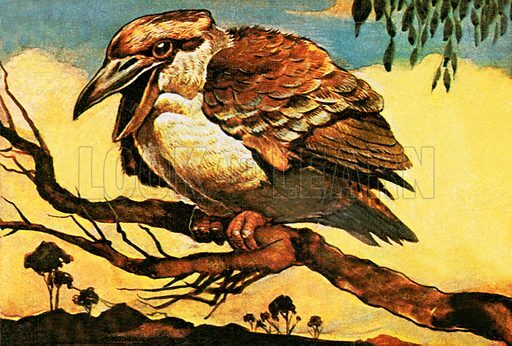 Kookaburra. NB: Scan of small illustration. Available worldwide for immediate download up to 4,864 x 3,290 pixels.